« Could the “Tampa Bay Bengals” be a thing? The first day of the 2014 NFL season is in the books and, as expected, little noise came from Cincinnati. • The Bengals have re-signed Taylor Mays according to reports. It’s not a major move but Mays will play some snaps at safety. This, combined with news earlier that Brandon Tate had re-upped surely made special teams coach Darren Simmons’ day a good one. 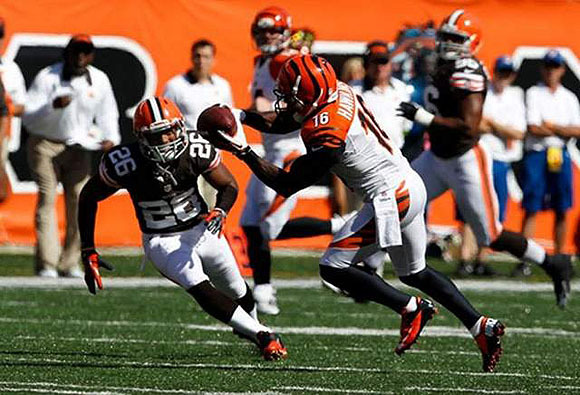 • The Browns have extended a four-year, $12 million offer sheet to free agent wide receiver Andrew Hawkins. I wouldn’t be upset if the team matched the offer. Hawkins give the offense playmaking ability that’s rivaled only by Gio Bernard on this roster and a match would keep him from going to a division rival. But with the new direction the offense is heading, I wouldn’t be surprised to see the team let him walk. • It’s not Bengals news, but the Jags signed Toby Gerhart (my No. 1 target for the Bengals) and with the numbers I’ve heard floated around — something in the neighborhood of three years, $10 million — I’m disgusted that the Bengals weren’t in for him. • The Buccaneers signed Michael Johnson and will bring Anthony Collins in for a chat. This shouldn’t be surprising. Johnson, we knew, was long gone and Collins has been a long shot to return. 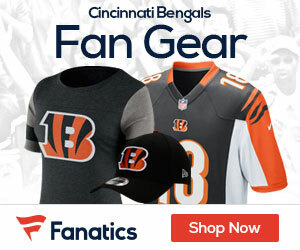 • In addition to Tate, the Bengals re-signed receiver/kick returner Brandon Tate and offensive lineman Mike Pollack. • Pollack is expected to make a run at the starting center position as the Bengals released Kyle Cook on Tuesday. • Four of my top 10 potential signings went to other clubs Tuesday evening. Receiver Kenny Britt and cornerback Captain Munnerlyn are the top two on the list still on the market.